It’s l’amour, y’all! Country music meets opera in the most unlikely, unbelievable and undoubtedly the most popular play to ever come through Barter’s Appalachian Festival of Plays and Playwrights. A struggling opera singer has a dream: to sing the lead in Carmen. Her agent thinks she’s found the answer! But she finds herself singing at a state fair with a country music band called the Car Men —agents clash, people panic, and the singers erupt at the worst of possible moments in one of the funniest musicals you will ever experience. 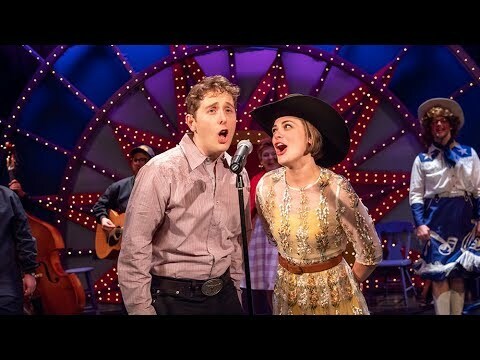 There’s a lot to love about this world premiere musical comedy: from the clever songs and writing, to the hilarious and brilliant conceit of bringing together the two seemingly disparate worlds of opera and country music, to the outright joy and silliness of watching people fall in and out of love. But I think my favorite thing about Madame Buttermilk is that, although set in the present day, it feels like it comes from another time. 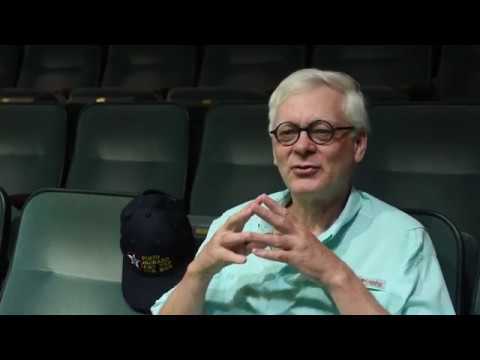 It is a musical that hearkens back to the Golden Age of musical theatre where shows like Oklahoma, On the Town, and Show Boat celebrated America during a time when America needed something to celebrate (in the midst of World War II). And at the heart of this gentle, fun musical comedy is a most optimistic message: that even though we may come from different worlds (opera lover or country music lover), we are more alike than we are different. We are not so easily and conveniently stereotyped, but in the end share a commonality—we’re all just a bunch of funny little people chasing our funny little dreams.